With the Golden Globes a couple weekends ago and the Screen Actors Guild coming up, we're now deep into awards season here in Los Angeles. At any of these shows, I am always fascinated by the inevitable influences from classic cinema that appear on the red carpet. 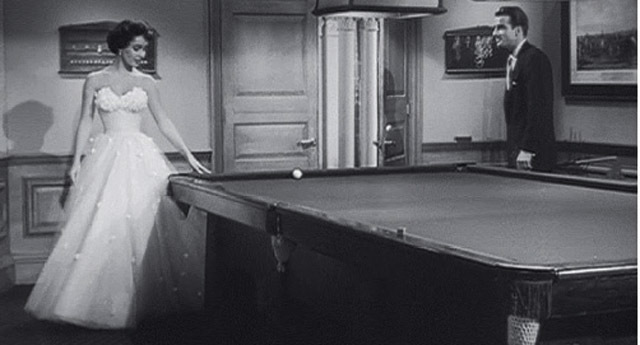 Film noir was front and center at last year's Golden Globes, for example, as gown after gown reflected the genre's iconic costumes. 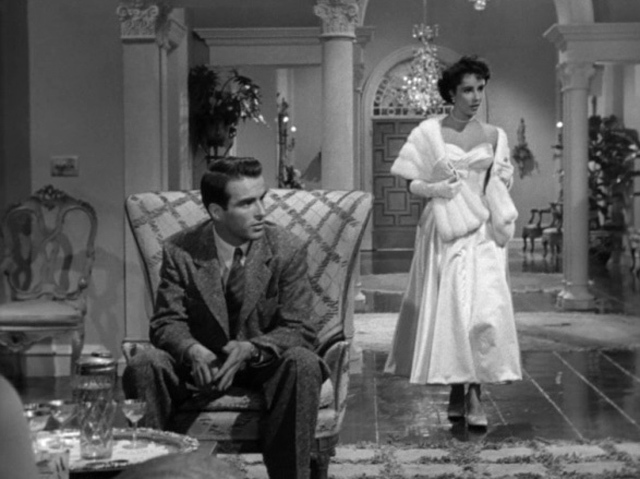 Movies like Gilda, The Killers, and The Postman Always Rings Twice (all 1946) inspired looks for today's top designers such as Jenny Packham and Vera Wang. 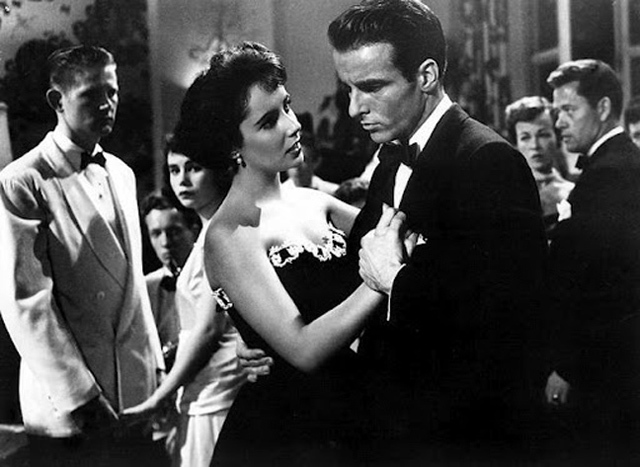 Inspiration for this year's Golden Globes was different in that it came from just about every era, but the 1950s made a very strong showing with the influence of A Place in the Sun (1951). Based on Theodore Dreiser's 1925 novel An American Tragedy, A Place in the Sun stars a luminous Elizabeth Taylor as socialite Angela Vickers. 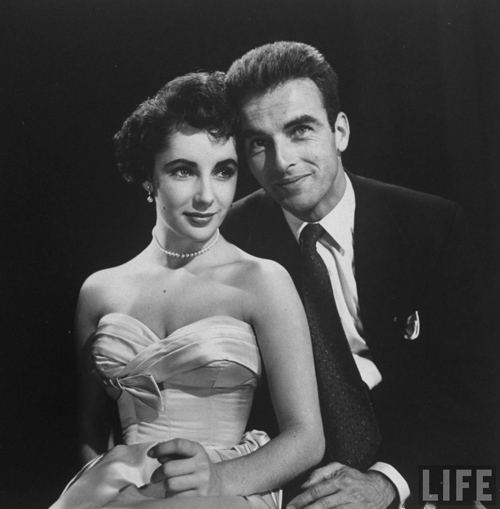 She plays opposite tortured but gorgeous Montgomery Clift, whose poor George Eastman reaches for the moon when he falls in love with Angela. The two actors became close offscreen as well and the movie captures them at their most beautiful, especially Elizabeth who is made even more so by the intimate direction of George Stevens and Oscar winning cinematography of William C. Mellor. 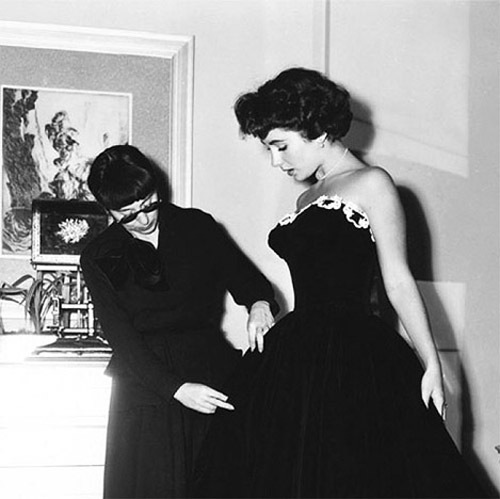 Perhaps most significantly, she is dressed as a debutante in the costumes of designer Edith Head, including an iconic frock that became the blueprint for ballgowns and proms everywhere. 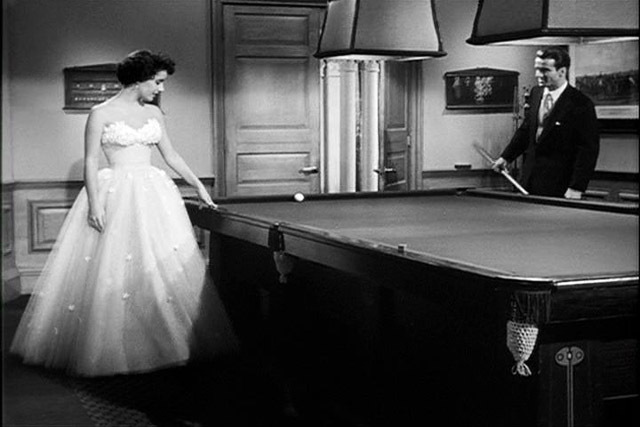 This moment in film history would result in one of Edith's eight Academy Awards for costume design in her 50+ year career. I teach the intersection and interaction of costume design and fashion, and one cannot overstate the influence of this film...both in what women wore at the time and what they continue to wear. It's hard to remember when the silhouette of this dress was not in our public consciousness; it's that much of a mainstay in fashion now. Lightning struck with A Place in the Sun....it is perfect design matched with perfect timing. Let's look at the historical context. Only years earlier, the country was still in the thick of World War II. 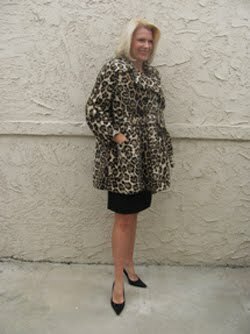 There was no real room for any frivolities in fashion. Precious fabrics like silk were simply not available--for costume designers and the public alike--as they were badly needed for the war effort. Also the amount of any fabric was being carefully conserved. Even the studios were recycling and repurposing old costumes just as regular women worked and reworked their existing (small) wardrobe. But as Americans emerged from the war years and the more austere 1940s were left behind, the notion of leisure in our lifestyle really began. Cue the celebration. 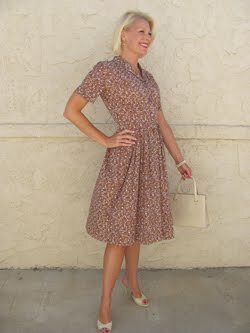 Women were finally able to indulge in yards and yards of the finest fabrics in their dresses once again. The size of their wardrobes also expanded, especially when many more occasions arose in which to dress up. 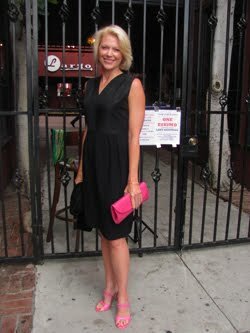 Women went dining, drinking, and dancing and needed multiple dresses to do so. So did their daughters...the 1950s also marked the rise of the teenager and every girl dashed to dances dressed like A Place in the Sun. 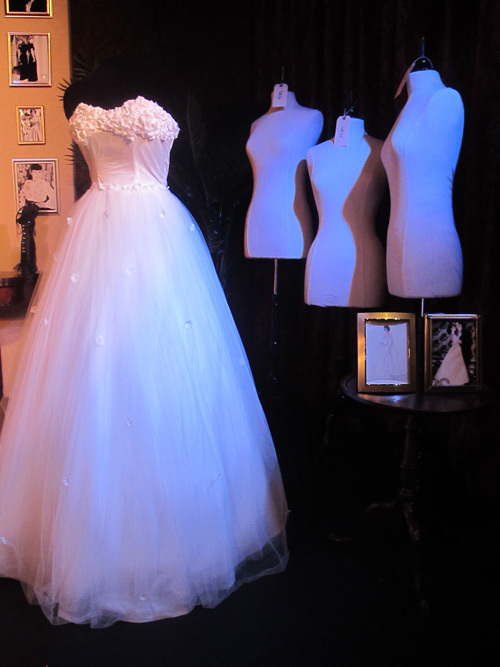 Prom, in particular, would never be the same, as I wrote about in an article for the L.A. Fashion District a couple years ago. 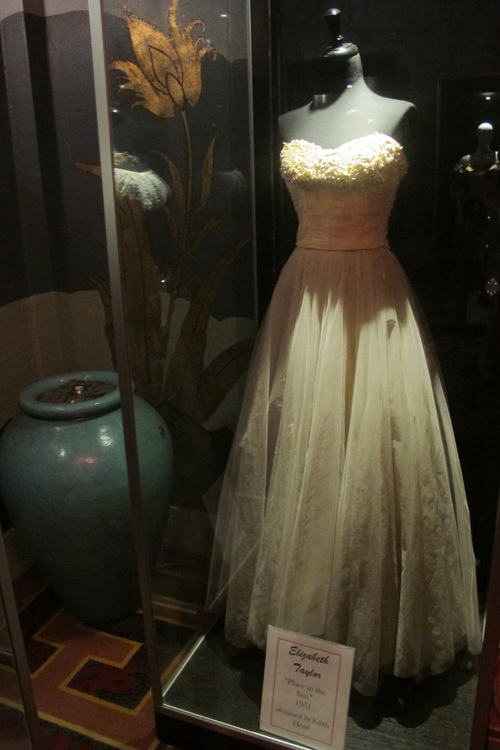 And the design of this gown became the dress for debutantes as soon as it appeared onscreen. 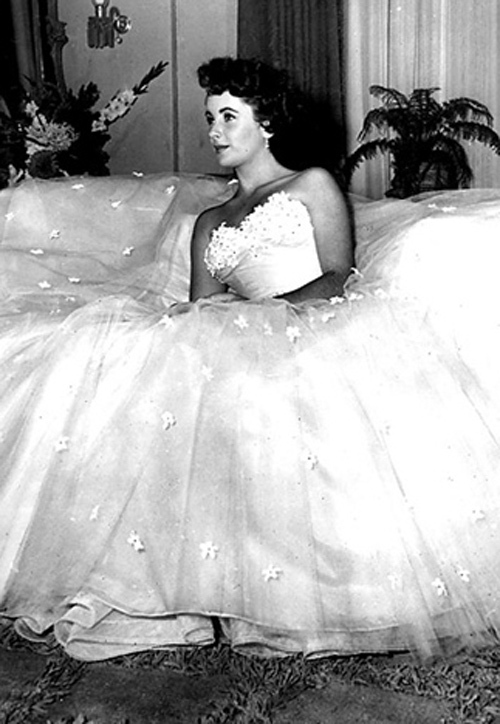 "My dress for Elizabeth Taylor in A Place in the Sun was taken up by a manufacturer of debutante party dresses," Edith recalled. "Someone at Paramount once counted at a party 37 'Elizabeth Taylors' dancing." The impact of her design was that immediate. The impact has also been long lasting. Though good costume design is always focused on the film and character, it often also resonates so strongly with the audience that it makes a change in fashion. A Place in the Sun is an excellent example of that. 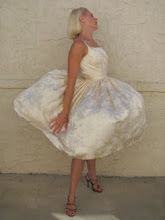 Femininity was at an all time high in the 1950s and the design of this dress summed up the decade to perfection. It tapped into the times and yet was timeless in its design. Strapless to show off the shoulders, which happened to be Edith's favorite part of Elizabeth's figure. 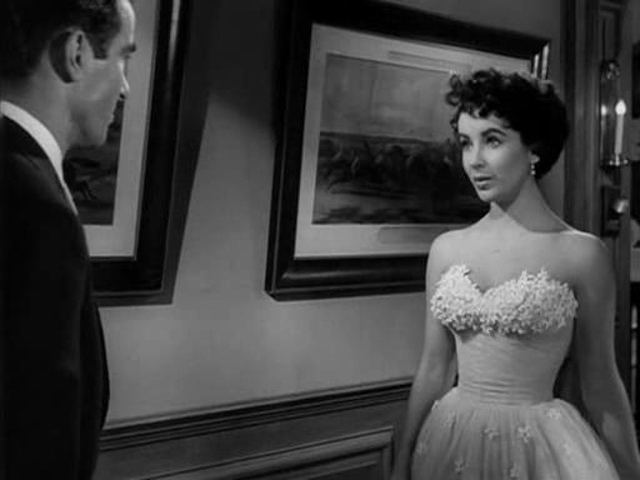 The gown also included a sweetheart neckline to show off the decolletage, highlighted further by tiny little fabric flowers blooming over the bustier. Then there was the classic fit and flare shape with its nipped in waist that suddenly swept into a full skirt skimming the hips. One reason for the dress' ongoing popularity is that it's a bit of a miracle worker...flattering for women of all shapes and sizes. Now perhaps you can understand why this gown has been recognized by everyone from InStyle magazine to the Los Angeles Times as one of the 10 best onscreen looks. Ever. And though the first gown I show from the film made the biggest cultural splash, there are even a couple more (included below) that echo that same silhouette. 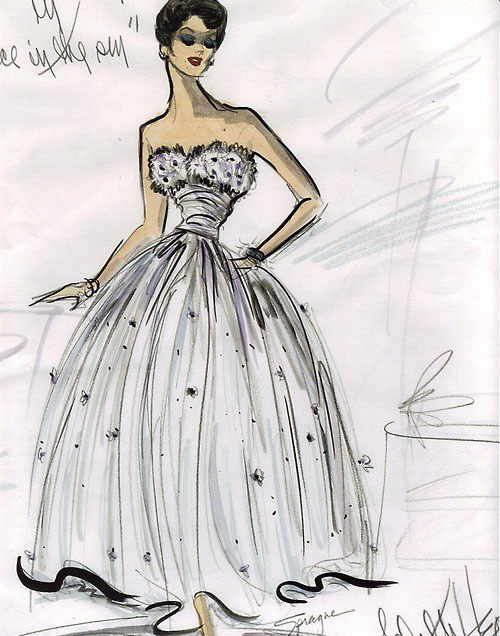 "All studio designers have created something that influenced fashion," Edith once observed. She did it multiple times during her career. 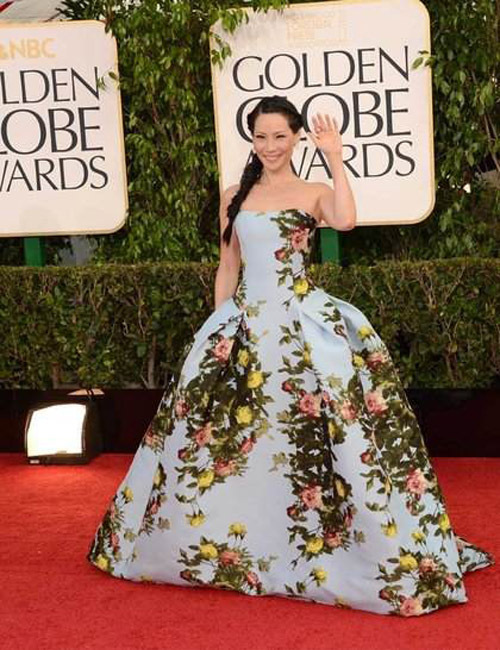 The influence of her costume design was in full force at the 2013 Golden Globes, where you'll see everyone from Oscar de la Renta to Donna Karan owed a debt of fashion inspiration to Edith Head and A Place in the Sun. I'm so glad you "covered" this particular movie and dress, Kimberly, and it's such fun to see how designers are STILL 'covering' this dress! That tight, strapless, hug-me-tight bodice enhanced by the white violets, and the placement of the flowers UNDER the net skirt layer...still making women look gorgeous today! What a great job you did detailing this out! Well done! Thanks Kay! Yes, it's pretty remarkable to me how extensively this design has been used and continues to be used so successfully. 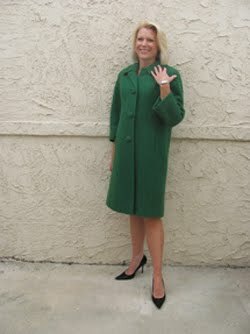 THAT is timeless design...no matter what era, no matter what designer, no matter the size and shape of the wearer. Truly an accomplishment by the great Ms. Head and love that it so dramatically shows the connection of fashion to film.